A compact and efficient hydroponic system offers unique opportunities to grow a variety of plants. When investing time and money to build a hydroponic garden, you’ll want to know which plants grow best in your new system. Assuming similar fertilizers are used, there are three factors that determine how well matched your grow system is to a particular crop: root zone area, light intensity, and air temperature. Considering these three things will help you grow crops best suited to your grow system and the environment it operates in. Compact horticulture systems intuitively work best with shorter crops that have shallow root systems such as spinach, lettuce, onions, and most herbs. The root-zone is the volume of space below the surface of the planting area where a plants roots grow to absorb water and nutrients. Some plants grow narrow and deep roots while others grow a shallow root mass over a wider area. Efficient horticulture systems offer a variety of containers to optimize this crop characteristic, each having a shape that benefits the type of plant it grows. Plants, such as tomatoes, cucumbers, and parsnips, grow best with deeper root-zones thus are not well suited for compact horticulture systems. The amount of light available in a horticulture system is a primary factor of resulting food quality. Good gardeners will match their crops to the intensity and duration of light their systems provide. Although plants do a great job adapting to most environments, robust growth requires different light intensities for different crops. Generally speaking, you need strong light if you’re growing a plant for its fruit. Tomatoes, peppers, and eggplant all benefit from full sunlight. Anything grown for its leaves can manage, and perhaps grow better, in partial sunlight or shade. Salad greens and herbs are prime candidates for areas that don’t get full sun all day. When growing indoors, crops that require less light energy will cost less to grow to maturity. Finally, it’s important to pick a crop that is well suited to ambient temperatures. Efficient horticulture systems rely on the surrounding environment to maintain adequate temperatures for optimal growth. It’s possible to artificially heat or cool a system but this requires greater cost in terms of system components and energy consumed. Vegetables that grow best in mild climates, such as a garage in the winter, include spinach, kale, and arugula. If your system resides in a warmer climate, perhaps a loft or attic area in the summer, consider peppers, beans, or zucchini. If you plan to grow in a compact hydroponic system consider matching its presumed environment to the type of plant you’re willing to grow. Kale is a true super food. Using an RDA comparison, one cup of kale contains 36 calories, zero grams of fat, 684% of daily vitamin K, 206% of A, and 134% of C vitamins. Kale is also high in potassium, iron, and is a good source of fiber. Kale suffers in hot weather, but doesn’t mind the cold. Germinate seeds below 75 Fahrenheit and keep maturing plants in an area that remains between 50 and 75. Kale is known for its winter hardiness and can survive prolonged exposure to snow and frost. Along with cool temperatures, a moist root-zone helps keep kale leaves sweet and crisp, rather than tough and bitter. When planting kale, cover seeds with a ½” of medium and leave in a humidity dome to get them started. Kale plants take 45-65 to mature if left to their own. Space maturing plants 6-12” away from each other or perhaps farther if you’re taking them to full maturity. Most kale varieties can take full sun but overexposure combined with heat will cause the plants to bolt. 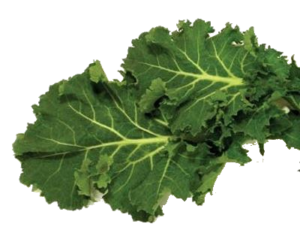 When harvesting kale, consider that younger leaves have a subtler taste while the matured leaves are strikingly bolder. Younger leaves can be used in salads while mature plants are usually consumed as a cooked green. Harvest larger outer leaves first and allow the center of the plant to continue producing. 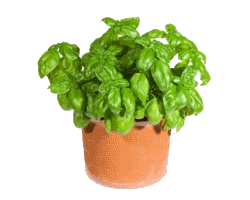 Basil plants have aromatic leaves that produce a delightful variety of flavors; from the slightly lemony-mint of sweet basil to cinnamon, and licorice. Mammoth Sweet Basil has large yellow-green leaves and is sought after for its culinary wrapping qualities. Classic Thai Basil has a spicy yet subtler taste that goes great with meat, spicy soups, and curries. Basil seeds will germinate in approximately 2 to 7 days, but can germinate faster in dedicated propagation media. Basil seeds usually have a Minimum germination standard of 75% making them consistent sprouts. Basil does well in warmer climates where the root-zone remains moist. Basil germinates well between 60 and 80 F, and grows well between 50 and 75 F. Above 75 F, basil tends to bolt which reduces leaf mass and taste. Provide young basil plants with direct light 6 to 8 hours a day. Inadequate light could result in seedlings becoming leggy. As your basil plant grows, consider pinching or topping new shoots. Continually pinching and using your basil will coax it into becoming bushy. If weather turns south and the ambient temps drop precipitously, be sure harvest your basil quickly as cold weather will destroy your plants. Harvesting basil is best done just after it begins to bolt. For fresh use, harvest as needed. 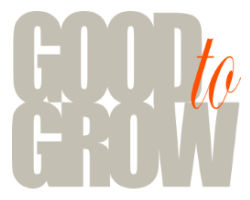 Many gardeners regularly remove larger leaves to encourage new growth lower on the plant. Remember to pinch out the flower heads as soon as they appear to encourage additional leaf production. For preserving, harvest at peak maturity. For distilling, harvest when blooms are just beginning to appear. At this point, the leaves contain the highest level of essential oils. Spinach is a great source of Vitamin A, and one of the healthiest garden crops available. 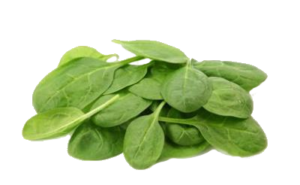 Its high concentrations of iron, calcium, and vitamins make it one of the best sources of vitamins A, B, and C.
Spinach has similar growing conditions and requirements as other leafy greens, but it is more versatile. Spinach is frost resistant but does best in mild climates where temperatures fluctuate between 40 and 80 Fahrenheit. Spinach seeds are known to have erratic germination behavior and most varieties require soil temperatures below 70 to sprout. As spinach grows, keeping the plant away from prolonged exposure to intense light will decrease its tendency to bolt to seed. Spinach will mature in in 4-6 weeks when grown from seed. Plant your spinach seeds up to ½ an inch deep and cover with medium. You can start seedlings in a humidity dome with moderate light exposure to ensure a moist environment for germination. When moving the seedlings to a full grow system, space the plants 4-8” apart depending on variety. You can begin harvesting whenever the size and taste of the plant suit your needs. Spinach can be harvested in the cut and come again method or simply take the whole plant for a larger harvest. Don’t wait too long to harvest; bitterness sets in quickly after the plant matures. If possible, wait for frost to harvest an outdoor crop as exposure to cold increases the production of sugars in spinach. This fast-growing cool-season salad green – often ready to harvest as early as 4 weeks after seeding – adds a tangy, peppery or mustard-like flavor to salads. A a gourmet green, Arugula is for the most part, a cool-season crop that performs best in mild temperatures. Arugula is a very healthy green, and the leaves are filled with calcium, folic acid, magnesium, iron and vitamins C and A. You might see arugula labeled by its nickname Rocket, or even Rocquette. Arugula germinates in 4-8 days in the right conditions. Arugula loves the cool weather. Plants are most vigorous and the flavors are richer when daytime air temperatures are between 60-70°F. Arugula will take full sun if the temperatures are low but consider reducing light intensity as ambient temperatures increase to avoid bolting. Rapid continuous growth is important for the best quality arugula. Many growers stagger their arugula crops to harvest half the crop at a time. When growing from seed, thin your arugula after their second set of leaves have emerged. Growth should be low and compact unless heat causes the plant to bolt. Also ensure that seedlings are watered often enough to keep the root-zone moist at all times; dry root-zones curb growth and encourage arugula to go to seed. 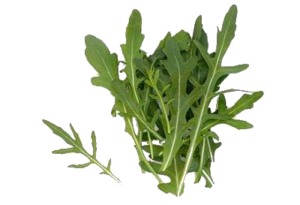 To harvest Arugula, pick off the outside tender leaves at the base of the plant. Leave the center growing point intact for future harvesting. Alternatively, you can cut back the entire plant when it is about 4 to 5 inches high and use your arugula in a bunch. For the best flavor, harvest all greens frequently and when young. To avoid bitterness, do not eat over-mature plants or those that are going to seed (bolting).